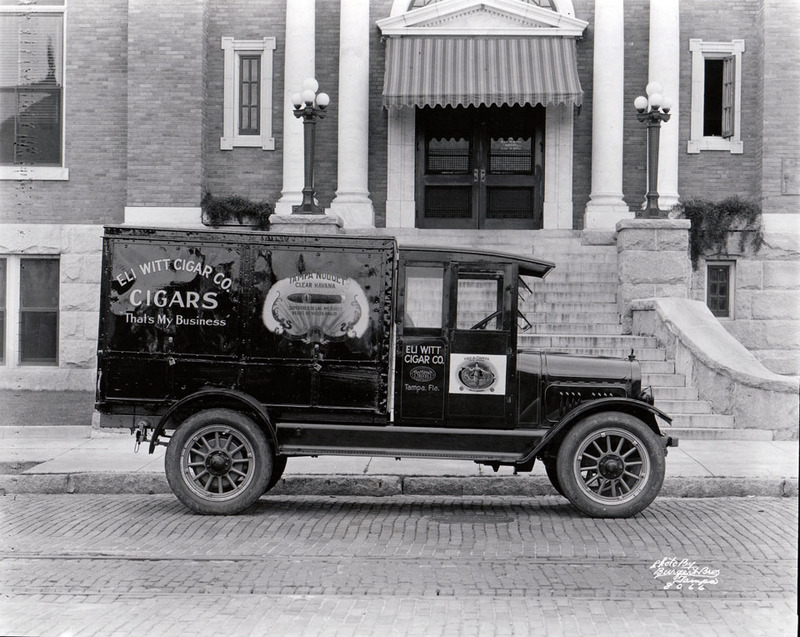 An Eli Witt Cigar Company truck, stopped outside of the former 7th Avenue Carnegie Library, has been replaced by modern day truck speeding by. 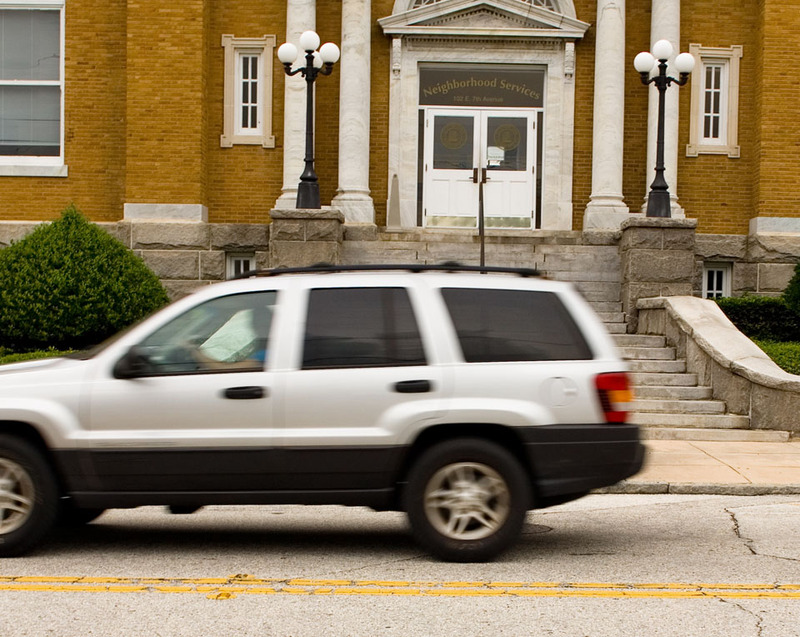 If you look closely at the street, you’ll notice that the streetcar tracks and brick road have been paved over and that the granite curb appears to be shorter in the modern photograph. I’m assuming this is because a few layers of asphalt have been laid down, slowly increasing the height of the road over time.